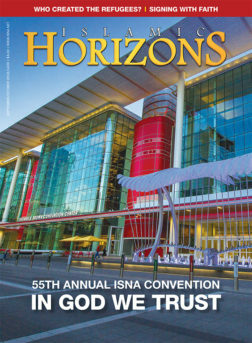 Islamic Horizons is ISNA’s flagship bi-monthly magazine. This premiere publication showcases ISNA’s activities, along with covering achievements and news about the North American Muslim community. 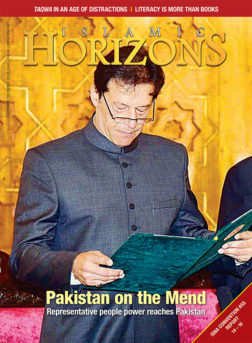 The magazine also features topics devoted to the contributions of outstanding individuals and organizations, politics and social issues, international affairs, family life and culture, and book and film reviews. The Islamic Society of North America (ISNA) invites Islamic schools in the U.S. and Canada to raise funds for themselves by helping to sell subscriptions for its award-winning, nationally distributed Islamic Horizons bimonthly magazine. This will be a fun way to sensitize the community and the students to Muslim media. The students will take pride in helping an award-winning quality publication. Students can earn funds for their school with each subscription sold.